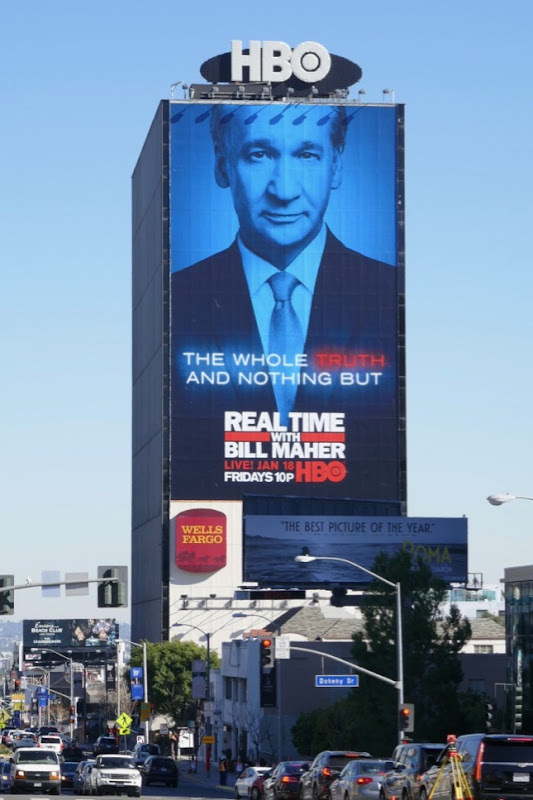 Why so blue Bill Maher, do you think we can't handle the whole truth? 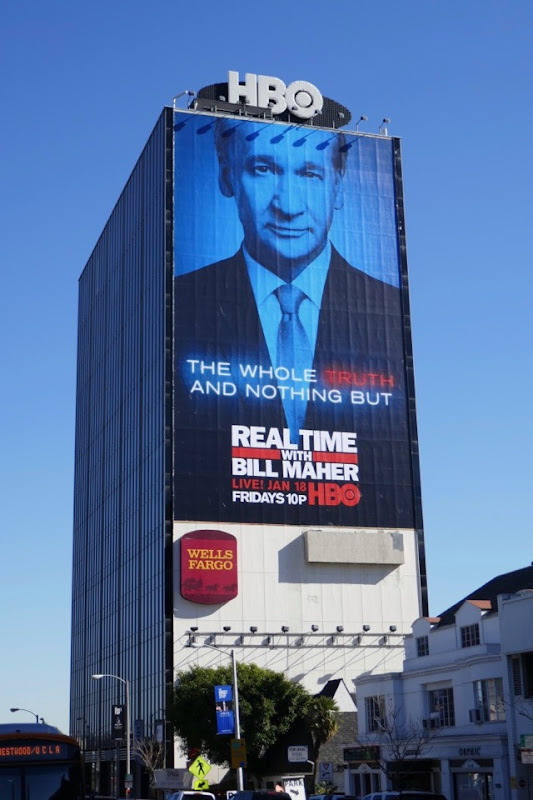 Or is it because you're too busy bashing comic book legends like Stan Lee and you feel an ounce of guilt. 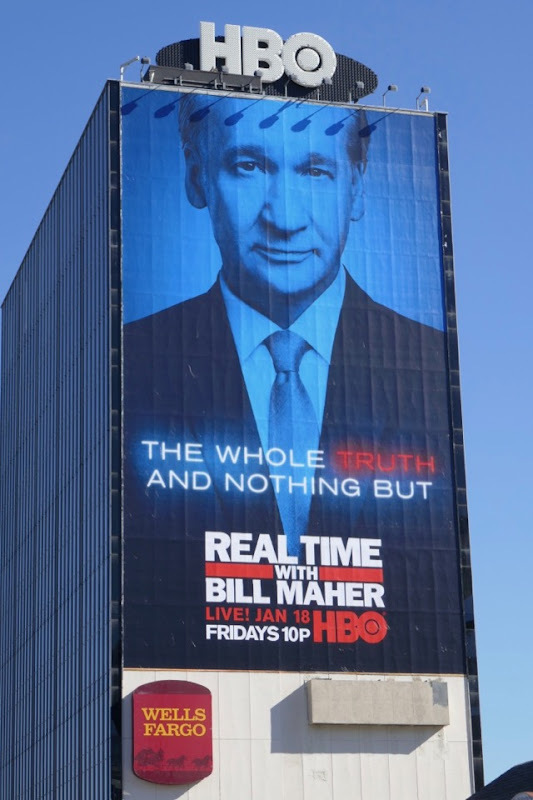 The comedian and political satirist is back for an amazing seventeenth season of his HBO talk show in which he monologues and then chats with all manner of guests on his panel from the worlds of news, current affairs and Washington, D.C. 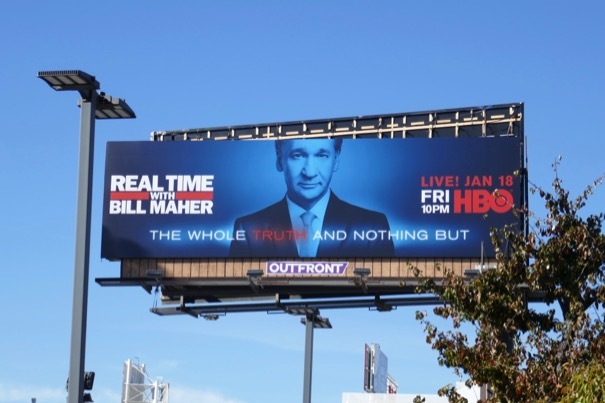 These season seventeen billboards were spotted along Hollywood Boulevard and the Sunset Strip from January 9 to January 23, 2019. 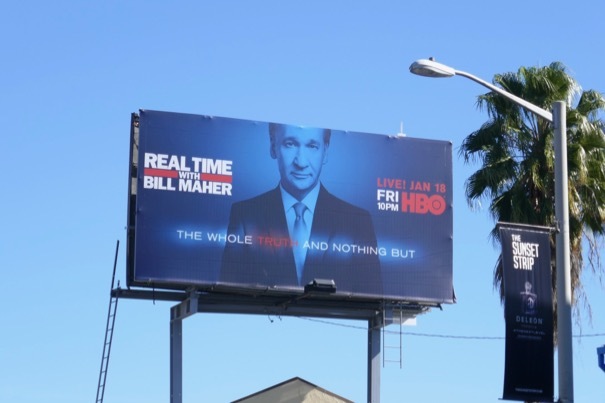 Fans of the talk show can also check out these previous season billboards for Real Time with Bill Maher. Every season Bill Maher seems to say something which offends with his outspoken truth telling. 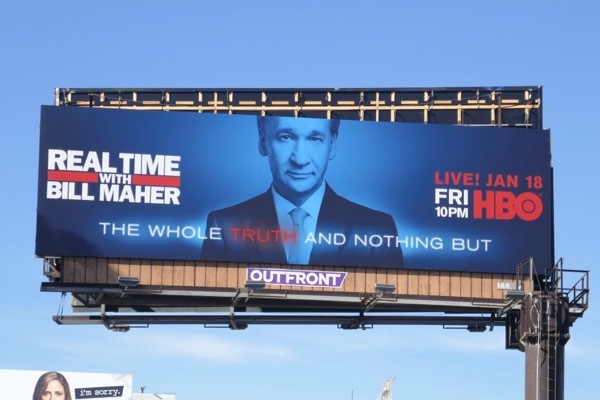 It's a fascinating time for old-fashioned comedians as they are being held more accountable for their words and action, so it'll be interesting to see how many more seasons people will keep listening.